There was a lot to agree on at the Senate Homeland Security and Governmental Affairs Committee hearing on the Postal Service last Tuesday. The senators and witnesses generally agreed the situation was bad – the Postal Service’s liabilities outstrip its assets by $63 billion; it has $140 billion in unfunded liabilities. They agreed the Postal Service can’t be privatized, reforms can’t harm rural areas at the expense of cities, and the systems by which the Postal Service invests in employee pensions and allocates costs between its monopoly items, such as first-class mail, and its competitive products, such as package delivery, are not close to adequate. They agree business as usual is not option, that mail volume has declined 42 percent in the last 10 years, and first-class mail – the Postal Service’s most profitable product – is off a third. They agreed the relentless financial losses – the Postal Service lost nearly $6 billion last year and expects to lose nearly $7 billion this year– cannot continue. They also agreed the situation was dire. Gary Grippo, deputy assistant secretary for public finance for the Department of Treasury, testified on behalf of the Federal Financing Bank, the Postal Service’s sole creditor. The Postal Service has $13.2 billion in outstanding debts to the Treasury; its statutory borrowing limit is $15 billion. He said he wants the Postal Service to repay its debt but fears what will happen if it starts to do so. 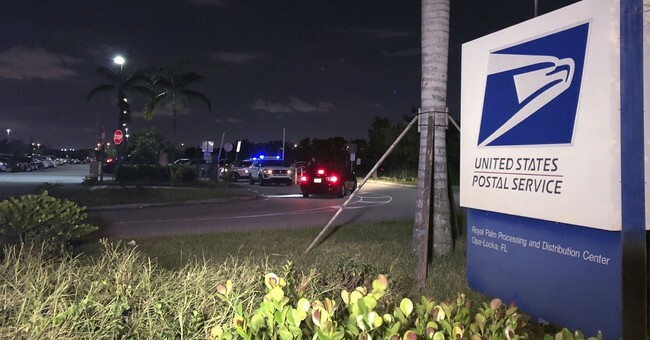 “The only way to continue postal delivery of mail and packages in the U.S. and to avoid a disruption to the U.S. economy would be a taxpayer bailout of the Postal Service,” Grippo said. If the scope of the problem was agreed upon, its causes and solutions were not necessarily. All agreed the requirement the Postal Service pre-fund its pensions and retiree health benefits hurt the bottom line and that the Postal Board of Governors be brought to full strength. David Williams, one of the two current members of the 9-member Postal Board of Governors, focusedon gains that could be made in the pension and retiree obligations by changing the way the liability was calculated. But Grippo, Sen. Ron Johnson, R-Wisc., who heads the committee, and Margaret Weichert, acting director of the Office of Personnel Management, pointed toward another problem – the way the Postal Service allocates costs among its monopoly-protected and market product lines. Weichert saidthe solution involves labor costs – the Postal Service spends $85,000 per year per employee; UPS spends $76,000 and Fed-Ex, which is not unionized, $53,000 – and getting a handle on cost allocation. We don’t know how much difference it would make to relieve the Postal Service of its pre-funding obligation – Williams says it’s extremely hard to estimate, and Grippo said it’s not a silver bullet to solving the crisis. But we do know the current model doesn’t work, the Postal Service does not properly account for the costs of delivering packages and something has to happen soon. Thus, all things considered, Grippo’s warning may be a little too extreme, but it also may not be extreme enough.